The numbers speak for themselves. In the heart of “Music City,” prospective students will find in Vanderbilt University an academic institution that combines its 50 degree programs and 5 Nobel laureates on staff with nearly 400 different student organizations and a coveted spot in the SEC, the country’s most prestigious athletic conference. It is a haven for those who are looking to maximize their collegiate experiences both personally and academically en route to rich and fulfilling careers focused on a range of disciplines and industries. It is also a great place to play hockey. The Vanderbilt Commodores Ice Hockey team is a DIII men’s club program affiliated with the American Collegiate Hockey Association (ACHA) and the Southeastern Collegiate Hockey Conference (SECHC). Founded in 1976, VU hockey maintains a distinct personality relative to its peer institutions in the southeast region in that the students are largely responsible for managing the program. 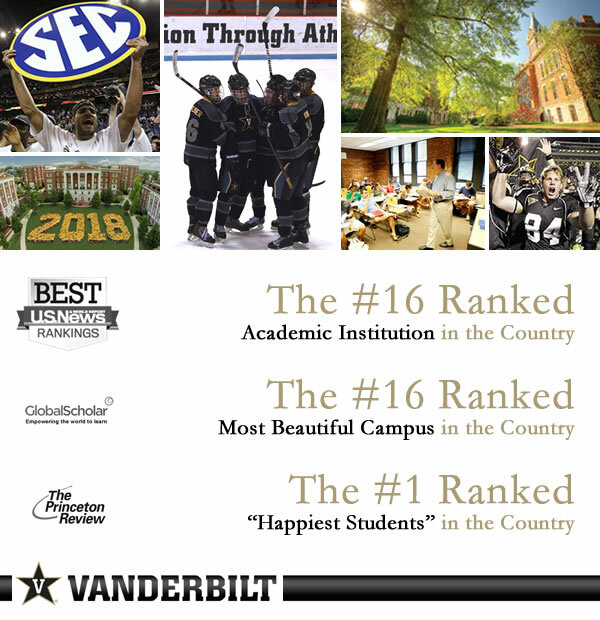 Ours is a culture of builders, and for the right student athletes who are looking to build a lasting legacy during their undergraduate experiences, our Vanderbilt hockey program would be a perfect fit for you. To support the team’s officers in their efforts, a host of coaches, faculty advisers, and parent sponsors dedicate huge amounts of time to ensure seamless organization both on and off the ice. As evidenced by events such as the “Interstate Face Off Series,” the club’s annual tilt versus a regional rival played at Bridgestone Arena, home of the Nashville Predators, and the annual College Hockey Scholar Shootout tournament which features six clubs all ranked in the top-50 academically in the country, we pride ourselves on running a tightly organized program that is also insanely creative and fun. While we strive to be successful, as demonstrated by our combined record of 74-41-5 over the past five seasons, we are above all else committed to truly enjoying the experience. Want to be a ‘Dore? 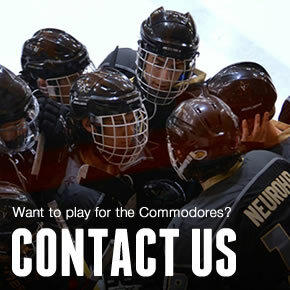 Applying to, accepted by, or enrolled at Vanderbilt University and interested in playing hockey? We would love to connect with you! Just fill out our Player Inquiry form and one of our club officers will reply with information about such things as scheduling, fees, and expectations for the upcoming season. We appreciate your interest in the club and look forward to hopefully seeing you next season, whether in the stands or on the ice!